Janet Cahill is the Executive Director of External Relations at Harvard Business School and a member of the School’s administrative leadership team. Leading a team of over 130 professionals, she is responsible for managing all aspects of the School’s portfolio in support of the global community of 83,000+ alumni. 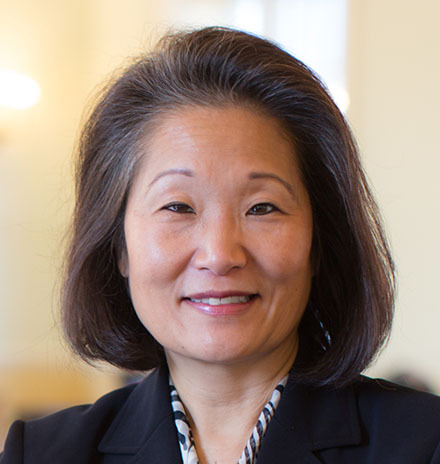 In this role, she oversees alumni relations, continuous learning, development, alumni marketing and communications, and alumni information systems and led the School’s efforts to successfully close the recently ended HBS capital campaign in June 2018, which surpassed its $1 billion goal. Prior to this role, Janet was the Managing Director, Campaign and External Relations, where she oversaw the many activities across External Relations and the School for the HBS capital campaign launched in 2013. Janet joined HBS in 2006 and has held a succession of roles at the School including Director of Alumni Clubs and Associations and Managing Director of Alumni Marketing and Communications. Before joining Harvard, Janet worked with many non-profit organizations globally and earlier in her career was a sales and marketing executive at companies ranging from IBM to NeXT Computer. Janet holds a B.A. in Economics from Princeton University and is a graduate of the Advanced Management Program (AMP 189) at HBS.